Although the European Union (EU) and the Gulf Cooperation Council (GCC) are structurally two different transnational unions with dissimilar cultural backgrounds, their cooperation has been driven by the belief that their contacts could be mutually beneficial. From 1989, when their cooperation was first institutionally enshrined, several channels of communication have been created to deepen their relations at an economic, social and political level. Despite the presence of the United States of America (USA) as a guarantor of security in the area, cooperation was envisaged also on security issues. However, internal disagreements and differences both within the EU and the GCC about the future course of this relationship have slowed it down overthrowing the initial expectations. Still, the fact that the two sides constantly launch new cooperation initiatives demonstrates that this is a partnership that could overcome the current stagnation obstacles and respond to future challenges as well. 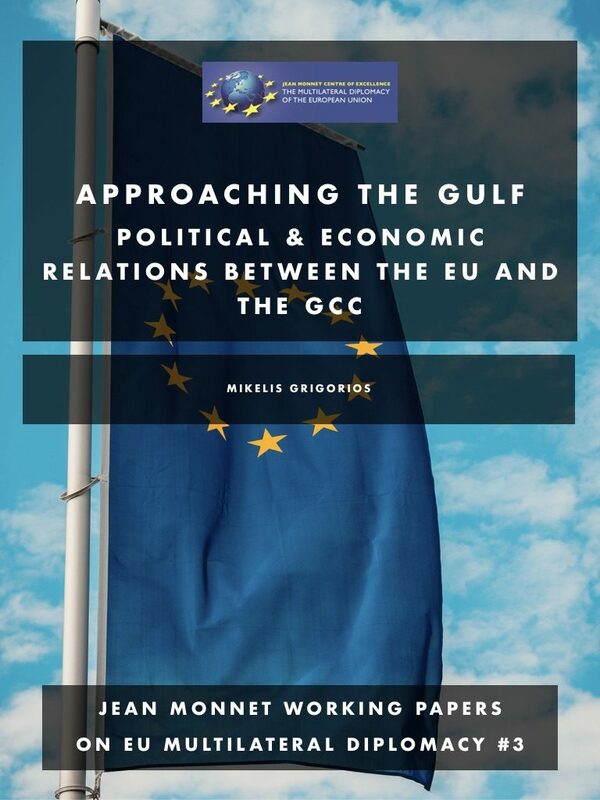 This study introduces the organization and structure of the GCC and discusses the diachronic evolution of the relations between EU and GCC at an institutional and political level with reference to the challenges that are hampering the development of this strategic partnership.